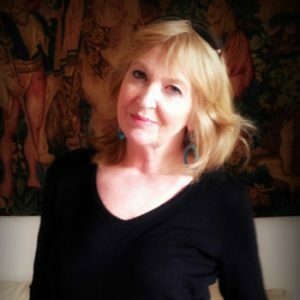 Marie was Co-Editor of Skylight 47 poetry magazine, winner of Cuirt International Festival of Literature New Writing Prize for Poetry 2011 and joint winner of 2017 ‘Poems for Patience’, Galway University Hospitals Arts Trust. Marie’s poems were published widely in journals and anthologies, most recently Even the Daybreak: 35 Years of Salmon Poetry. Her collection Gynaecologist in the Jacuzzi was published by Salmon in May 2016. In 2017 she edited Bosom Pals, an anthology of eight poets’ experiences of breast cancer, published by Doire Press. She lived in Spiddal, Co. Galway. At the time Marie was approached to participate in the conference, she was already unwell with a cancer related illness but still wanted to contribute to the meeting in some way. With Marie’s permission, a number of her poems from her collection ‘Gynaecologist in the Jacuzzi’ will be included in the programme for this years conference. Marie also made an audio recording of the collection – a selection from which will be played on the day. Marie Cadden died in December 2017. May she rest in peace.